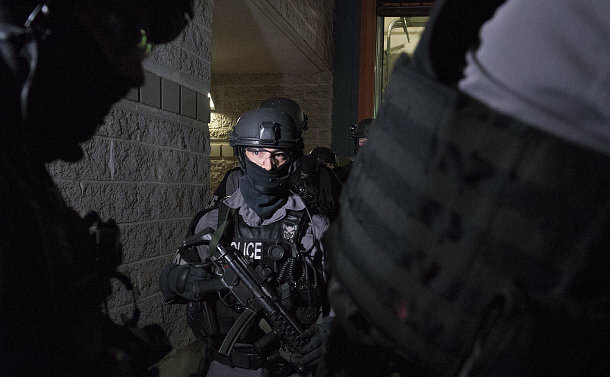 In a major police operation aimed at cracking a street gang exporting violence across the country, Toronto Police and 19 other police agencies across the province conducted early morning raids in southern Ontario and Sudbury. Over 800 officers were involved in the co-ordinated operation. 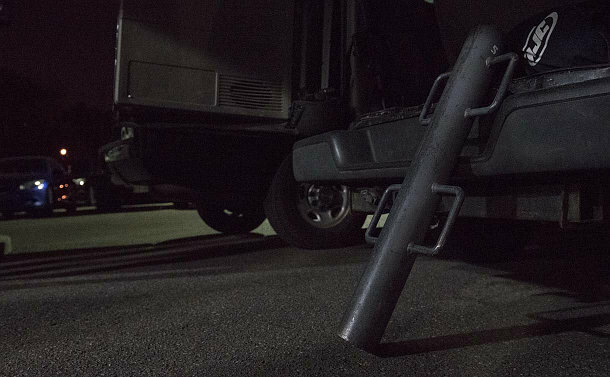 A total of 77 warrants were simultaneously executed at residences in Toronto, York, Peel & Durham regions, St. Catharines and the Greater Sudbury Area in the early morning hours of Thursday, June 15. There have been approximately 120 arrests and 660 charges laid over the course of the year-long investigation and during the coordinated search warrants. The charges are related to criminal organization offences, attempted murder, firearms trafficking and possession, kidnapping conspiracies and robbery and drug trafficking. At a news conference at police headquarters, Chief Mark Saunders said the Toronto Police Integrated Gun & Gang Task Force commenced Project Kronic, a complex criminal investigation focused on the Driftwood Crips, their associates and other criminal participants, in May 2016. Police allege the Driftwood Crips is a major criminal organization comprising a number of different cells operating throughout Ontario, Saskatchewan and Alberta, This gang has been involved in numerous occurrences related to homicides, shootings, kidnappings, firearm and drug trafficking, expanding beyond their historical Jane/Finch roots. He said the main objectives of Project Kronic were to identify the Driftwood Crips members and leaders, determine their narcotics and weapons suppliers, solve historical serious crimes and disrupt the violence in many impacted communities. Saunders said the arrests and prosecution of the participants in this criminal network will assist in minimizing their threat to theses communities and disrupt this criminal organization. He thanked the project planners and all of the officers from the various law enforcement agencies that took part in the takedown. “Their work this morning was a model of a clear synchronised professionalism. We are all safer as a result,” he said. Saunders believes police must work with social agencies to divert young men away from gangs in these communities to end the cycle of violence where young people often follow older siblings into the gang lifestyle. A news conference will be held on Friday, June 16 at 10:30 a.m. to update the media further on the Project Kronic investigation.